Chow Down Seattle: OPINION: Hey chain restaurants, stay off of my streets!! Leave Food Trucks Alone! OPINION: Hey chain restaurants, stay off of my streets!! Leave Food Trucks Alone! Some cities like Los Angeles, New York and Portland have rich food truck histories. Their food trucks are part of their food culture. 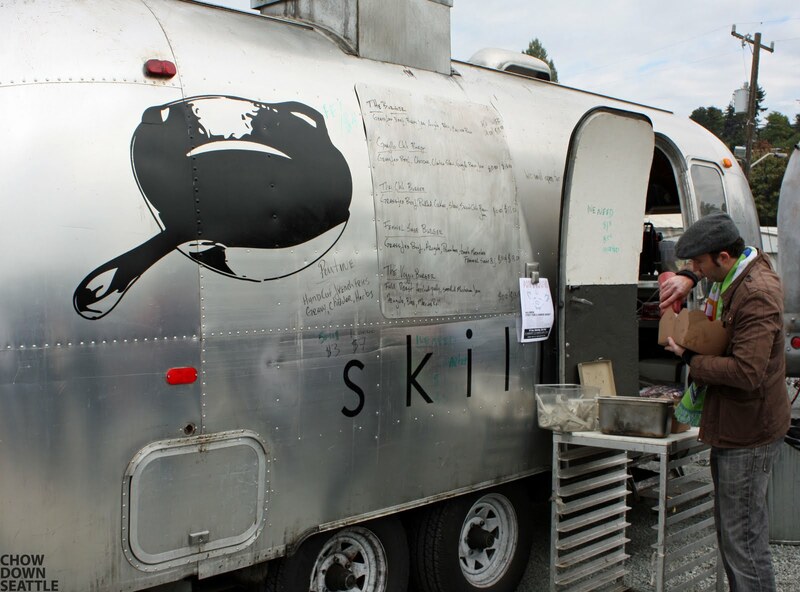 In the past several years, the food truck craze has been spreading across the country. Seattle is a good example. The number of food trucks keeps multiplying each year. So much so, Seattle has been the host of several Mobile Chowdowns, which even featured food trucks from Portland. I'm a huge fan of food trucks and have attended a few of the Mobile Chowdowns. 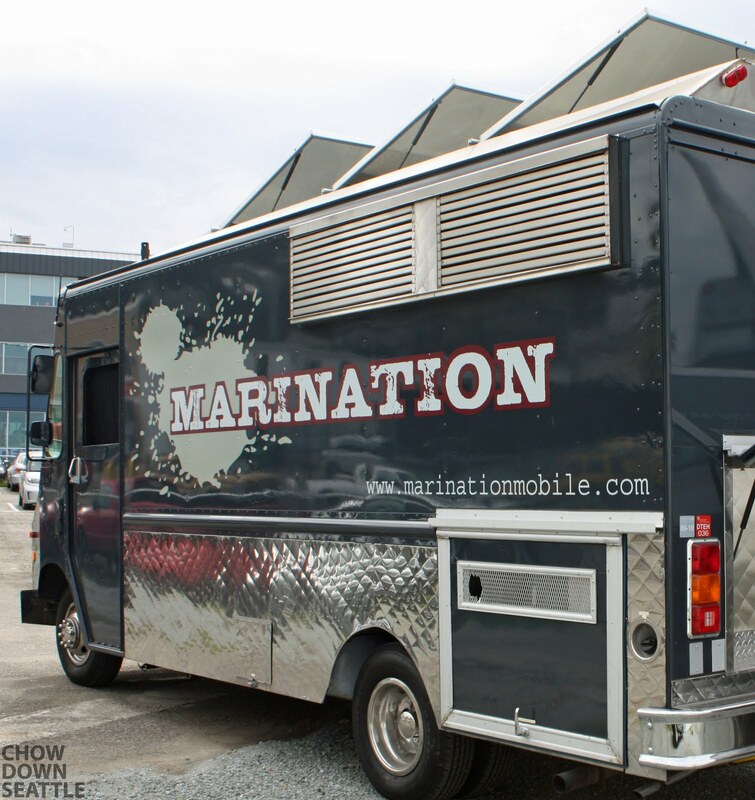 Now some of the chain restaurants want to get in on the food truck action. 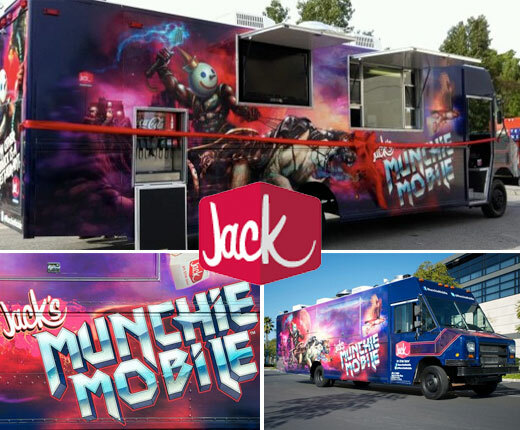 Jack In The Box introduced its Jack's Munchie Mobile back in March in Southern California. Does Jack In The Box really need to get into the food truck business? Jack In The Box has over 900 brick-and-mortar restaurants in California alone! 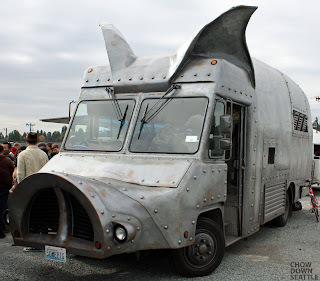 Do we really need a food truck like this showing up at food festivals, block parties and neighborhood blocks when you can find a Jack In The Box restaurant just about wherever you go? Applebee's in Colorado rolled out its first food truck at its Colorado Burger contest. The Applebee's food truck is going to travel across Colorado. Yet again, do we really need an Applebee's food truck? Just like Jack In The Box, there are plenty of Applebee's restaurants throughout the country. In my opinion, any chain restaurant should stick to their brick-and-mortar restaurants. Chain restaurants and fast food chains make mass produced, processed, unoriginal food. Most of the food is bland and very unhealthy. It's bad enough that a lot of people drive to these places and eat this food, but now these chains are going to be driving through our neighborhoods trying to sell this slop to us? Most Americans are overweight as it is. Do we really need to make the access even easier to this fatty food? I think not. 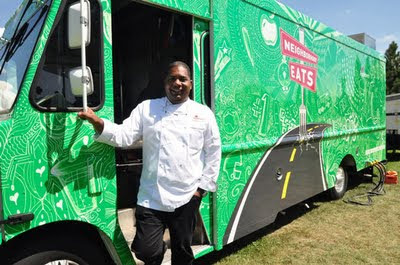 Applebee's executive chef Shannon Johnson in front of Applebee's Colorado's new food truck. Seattle has a lot of great food trucks: Maximus/Minimus, Marination Mobile, Skillet, Where Ya At Matt, El Camion, Pai's, Rancho Bravo Tacos, and many, many more! These food trucks offer fresh ingredients that are turned into amazing, original, and very tasty meals. Not to mention, they are all local businesses. Last month, the Seattle City Council approved a bill that allows food trucks to do business on the street. Previously food trucks were only allowed on private property. The bill also allows food carts to sell more kinds of food. This is all good news to food truck owners in Seattle. Hopefully this will spur on even more food trucks, just not already established fast food chains and other restaurants who have no business moving into town with their own food trucks.